We now know what Capcom was teasing with its retro-enthused video yesterday. As murmured by many on the grapevine, it is indeed an arcade stick pre-loaded with a ton of classic Capcom arcade titles. It's also £200 and it's... well... enormous. The Capcom Home Arcade is a two-player arcade control panel, which will connect directly to your TV or monitor via HDMI and comes loaded with 16 arcades classics from the CPS1/CPS2 era. The stick itself is robustly built, being made from parts supplied by one of the finest arcade stick manufacturers in the world, Sanwa. Also, kinda weirdly, it is formed into the shape of the actual Capcom logo. The stick measures just under 30 inches in length, just under nine inches in width and is powered via micro USB. It has Wi-Fi support for leaderboards, but none of the games will feature online play. Being made from quality Sanwa parts also has its cost, with the Capcom Home Arcade expected to retail for around £200 (roughly $260 USD, though no U.S. prices have been confirmed). There's no doubt that the Capcom Home Arcade has a great list of classic titles (all of which you can check out below) and it definitely boasts high quality physical components. However that size, that shape and that rigid attachment between both players? Personally, it's not for me, even with Final Fight. 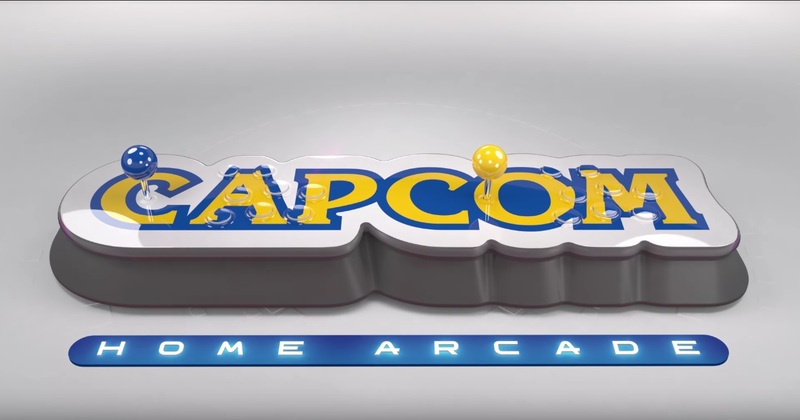 The Capcom Home Arcade is expected to launch October 25.